Anyone that has driven a car understands that they can be involved in an accident through no fault of their own. Of the hundreds of thousands of accidents that occur every year, fortunately only a small fraction of those involve serious injuries. However, for those unfortunate individuals who have suffered a major injury (or even death), there are a multitude of complications and obstacles to getting a fair recovery when dealing with an insurance company whose sole motive is to pay as little as possible and show a profit for its shareholders. 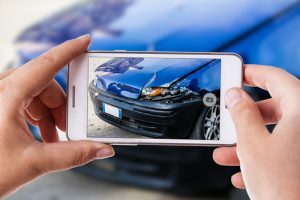 The sooner the injured person speaks with a Georgia motor vehicle accident attorney the better. Information and evidence can be lost, if not gathered shortly after the collision. Witness statements, photos of the scene and vehicles need to be obtained before changes or repairs occur. Most importantly, it is imperative that medical attention by a qualified doctor be undertaken in order to document that the pains and disabilities are from the accident and not some event that happened after the date of the collision. If the collision, however, involves a truck, such as a semi-trailer truck, a whole new set of rules apply. It is here that the injured person really needs the services of a competent trial lawyer. Federal and State regulations govern almost anything that a truck driver does, including the number of hours he can work, the training he must have, the documentation that must be kept, the “black boxes” on the truck, etc. These can be very valuable claims, but the right lawyer is the one that has the knowledge and experience to get the most information from the company and governmental agencies that oversee the trucking industry. A. Russell Blank, LLC is such a law firm. Russell Blank has devoted more than 30 years to the handling of motor vehicle and trucking accident claims. Insurance companies know which lawyers are willing to go to trial, as compared to those that rush to an early settlement regardless of the true value of a case. It is the experienced trial lawyer that will get the maximum amount for a given claim and Russell Blank is someone that will make sure that the insurance company will pay a fair settlement or he will take the case to a jury trial. That reputation assures you of the best result. If you have any questions about your accident contact us.